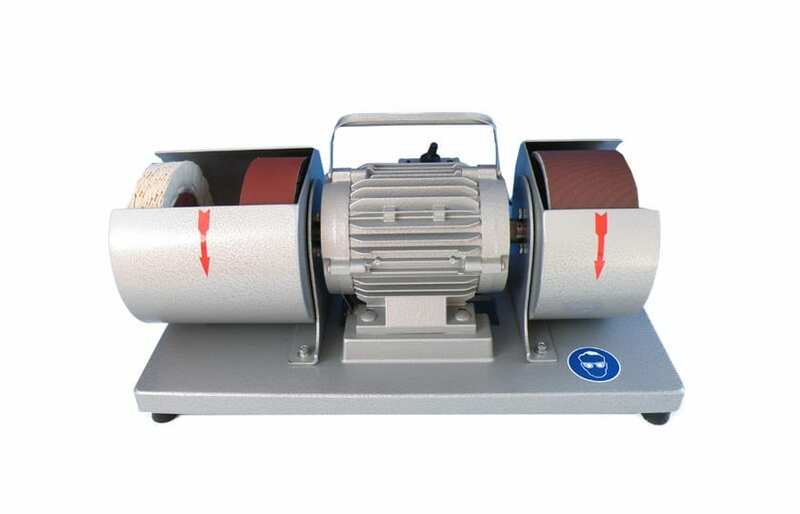 The serration grinding machine FAPI-WS 150 FLEX is used to grind and hone serrated knives and scissors. It can however also be used for other grinding and polishing work. With the bayonet quick release system both on the right and the left and the 360° rotatable protective hood, the user is provided optimum with regard to set-up times, work times and versatility. The rotatability of the protective hood by 360° ensures the ability to select the ideal grinding position for your work.